The Sebastiani's "Vintage Film Series" offers a classic film on one Monday each month. Last month's feature was Billy Wilder's Some Like it Hot (1959); coming up on March 12th is Joshua Logan's Sayonara (1957), starring Marlon Brando, with Red Buttons and Miyoshi Umeki in roles that brought each a supporting performance Oscar. In April, it's another piece de resistance from Billy Wilder, Sunset Boulevard (1950), and in May, Roman Polanski's Chinatown (1974), the finest in all of neo-noir, and a masterpiece beyond genre. I can't wait for the next "vintage" screening at the Sebastiani, and so, in anticipation, I dove into the theater's history. Samuele Sebastiani, founder of Sebastiani Vineyards and Winery, built the theater in 1933, retaining architect James W. Reid, who conceived its Italian Renaissance design. One of Reid's showpiece designs from many years earlier in his career was San Diego's eye-popping Hotel Del Coronado (captured for posterity on film in Some Like it Hot), a fabulous wooden Victorian beach resort. Reid's company ultimately settled in San Francisco and designed several landmarks in the city, including the Fairmont Hotel and the Cliff House restaurant. Among Bay Area theaters designed by Reid were the Alexandria (still standing but out of business since 2004) and the still operating Balboa in San Francisco, Grand Lake in Oakland, and Sequoia in Mill Valley. The Sebastiani opened on April 7, 1934 with a screening of MGM's The Fugitive Lovers (1934), starring Robert Montgomery and Madge Evans, with Walter Brennan, Akim Tamiroff and...the Three Stooges. In those years the Sebastiani, like other small-town theaters, was able to screen major films only after they'd been shown in the big cities, and only for three or four day runs. Two features ran every night, with a matinee on Saturday, and tickets were priced at just 30 cents. By the 1960s, TV was taking its toll on movie theaters everywhere, and the Sebastiani was no exception. Forced to cut back its schedule and days of operation, the theater struggled for decades to continue to function. 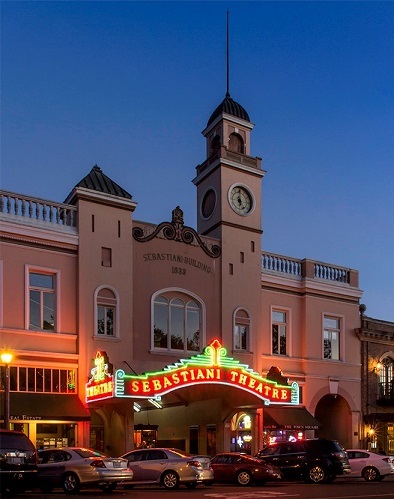 Finally, in 2009, on its 75th anniversary, residents of Sonoma Valley formed the Sebastiani Theatre Foundation, "dedicated to preserving, enhancing and maintaining Sonoma's historic and treasured theatre for current and future generations." Donations are welcome! Along with current releases (Call Me by Your Name, Lady Bird, The Shape of Water and Oscar nominated short films) and next Monday's screening of Sayonara, the Sebastiani is about to host the 21st annual Sonoma International Film Festival (March 21 - 25). Here's hoping this jewel of a small town movie house continues to live long and prosper. 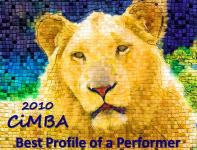 Click here to learn more about the Sebastiani Theatre. It is delightful simply knowing that this charming theatre exists. That it survived at all is almost miraculous. What a delight to see your write-up of the Sebastiani Theater. I'm really looking forward to checking this theater out, from the inside (it's a miracle it has survived all these years). Your article is very informative of it's past. I notice they also have events. What a great opportunity to indulge in a bit of cinematic history right in the middle of beautiful wine country (the Valley of the Moon). 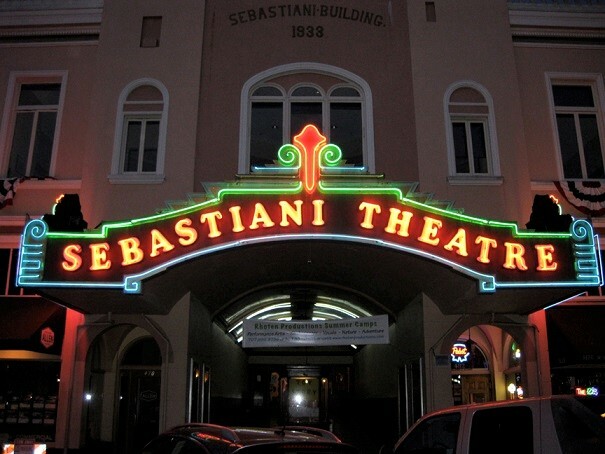 The Sebastiani is now on my short-list of local area, small-town theaters along with the Lark in Larkspur, the Rafael in San Rafael, and the Summerfield in Santa Rosa. I enjoyed this write-up about the Sebastiani Theatre. I especially like the photo of the front of the theater. Is it me, or does anyone else see a bit of Chinatown competing with the Italian Renaissance?! I see that one of your post labels is "Chinatown." Please do share!!! Thanks, Marianne. I've not posted in detail on "Chinatown" yet. But I will,I will. Love the architecture and the marquee! Hope you have a chance to see it in person one day, John.